These new infinitely connectible sectional beams are fun to use, quickly configurable and easy to carry and store. 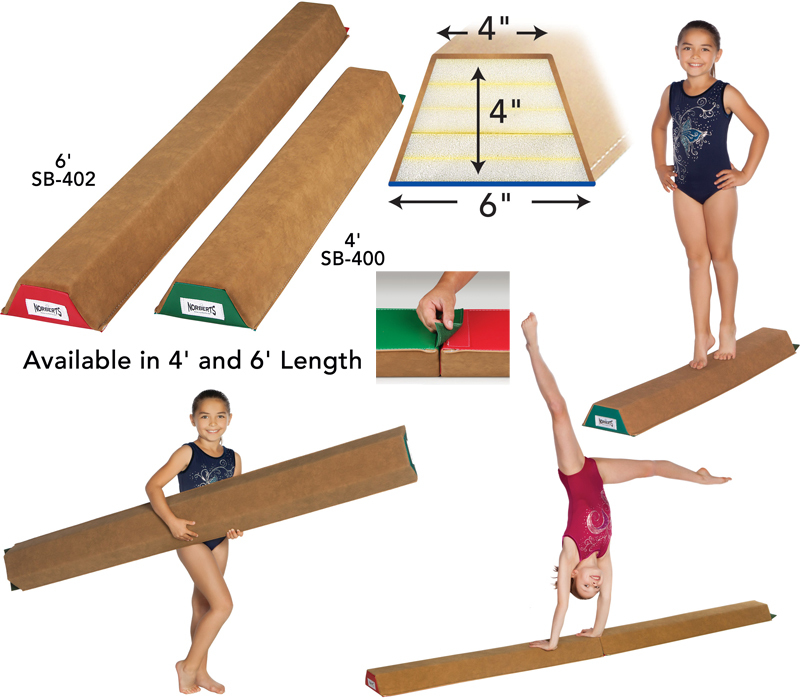 Each 4' long x 4" high practice beam is covered with beam suede and filled with solid (but very light weight) crosslink foam. The 6" wide base tapers to a 4" wide top surface. Beams connect end-to-end securely with permanently attached Hook and Loop fasteners at each end. Vinyl ends supplied in random colors, either green or red. Excellent for gym or home use! Free Shipping within continental US (lower 48 states). These normally ship in one week.